Rembrandt's 'St. Bartholomew,' stolen from the Worcester Art Museum in 1972, was recovered in the barn of a pig farm. A drawing by Dutch master Rembrandt van Rijn, valued at $250,000, was stolen from a hotel in Southern California this month. It was quickly recovered. But the whereabouts of three Rembrandts stolen from Boston’s Isabella Stewart Gardner Museum more than 20 years ago, in the largest art heist in American history, remains a mystery. Now, a security expert and an investigative reporter have teamed up to chronicle the history of Rembrandt heists in a new book, called "Stealing Rembrandts, The Untold Stories of Notorious Art Heists," and are optimistic the long-time mystery will be solved. St. Patricks Day in 1990 was festive at first but, late at night, two men dressed as police officers entered the Isabella Stewart Gardner Museum in Boston. Using handcuffs and duct tape to subdue the guards, they made off with 13 artworks, including three Rembrandts, a Vermeer and a Manet. The booty was worth several hundred million dollars. This 1630 self-portrait of Rembrandt, stolen in Stockholm in 2000, was later recovered in Copenhagen. About 15 years later, with the works still missing, Anthony Amore, a former Homeland Security official, was tapped to head security at the museum. 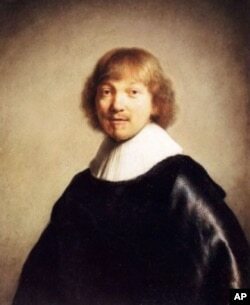 To solve the crime, he set out to learn about Rembrandt thefts over the last 100 years. Amore joined forces with Tom Mashberg, an investigative reporter. Together, they made interesting discoveries about art thieves in general. “These guys were involved in all kinds of theft," says Amore. "They were also familiar with robbing things like banks or pharmacies, armored car robberies, home invasions." “And we were really shocked to discover that there had been 81 robberies involving Rembrandts in the last 100 years,” Mashberg adds. 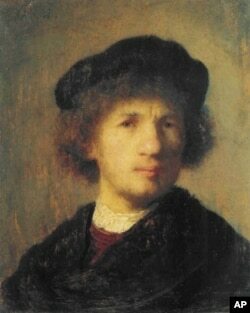 Rembrandt is one of the most stolen artists of all time, second only to Picasso. Mashberg says the fame of the Dutch master makes his work a target. The accessibility of museum art, Mashberg says, is another factor. “When you go into a museum, you don’t want to see armed guards everywhere. You don’t want art to be behind Plexiglas and you don’t want to hear alarms go off every time you get within a couple of feet to a famous painting." Art thefts are frequent, and some end badly. “One of the paintings by Rembrandt, a portrait of his wife, was actually burned by the criminals and destroyed forever because they were afraid they would be caught and put in prison,” Mashberg says. However, in 80 percent of the cases, the work turns up unharmed. And it's not uncommon for art thieves to make stupid decisions. In the 1972 robbery at the Worcester Art Museum in Massachusetts, a gang of thieves stole Rembrandt’s "St. Bartholomew," as well as works by Pablo Picasso and Paul Gauguin. “It was amazing for me to learn that, not only did the thieves start boasting about it right away which led to arrests," Amore says, "but that the mastermind of the crime ultimately hid the Rembrandt painting in a barn, on a pig farm about 40 minutes from his home. So, it really struck me to think that this beautiful painting was in such a profane place." Unlike diamonds or gold, valuable paintings have little street value. They are instantly recognizable and cannot be reintroduced into the marketplace without attracting attention, which makes it difficult for criminals to sell them. “We have several cases in the book where the thieves just gave up and left the paintings off in a public place, like a train station or a park, and then called the police and said ‘Why don’t you just go pick it up,'" Mashberg says. "'It’s too much trouble.’"
But that hasn't worked for the Isabella Stewart Gardner Museum. According to reports, the FBI recently re-tested DNA from the crime scene to develop new leads. Mashberg and Amore remain optimistic that the Rembrandts stolen more than 20 years ago will be recovered. Although they won't divulge details about the case, they say, history shows stealing art doesn’t pay.